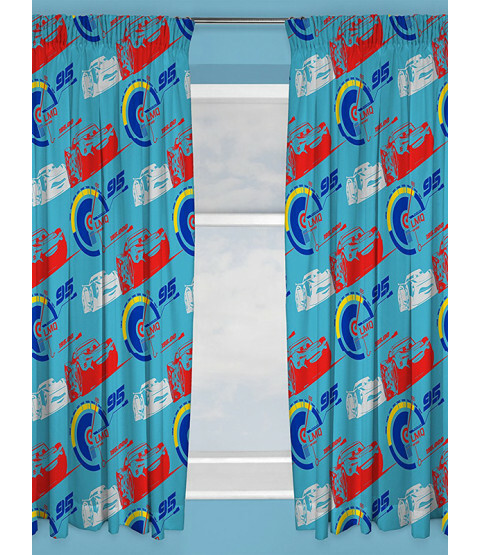 These fantastic Disney Cars 3 Lightning readymade curtains will add the perfect finishing touch to a Cars themed room. 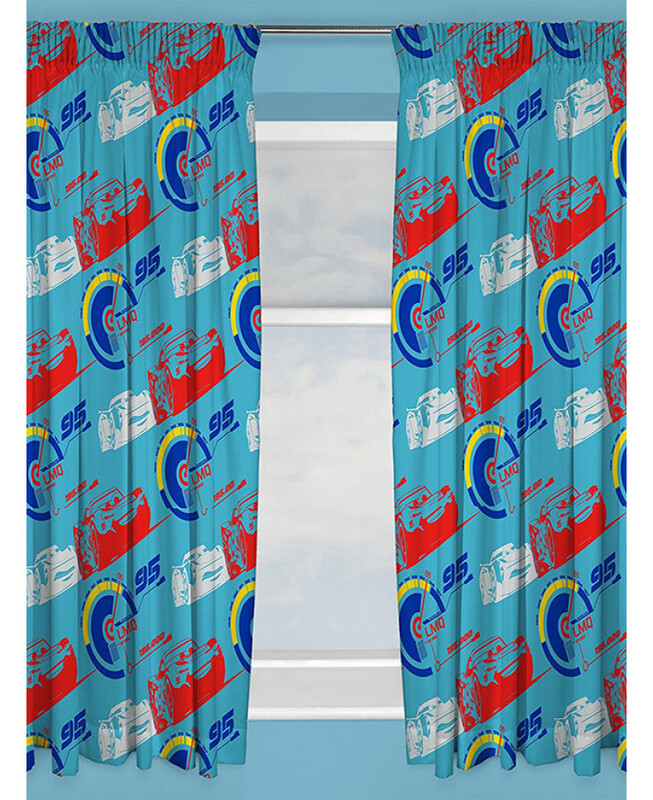 The curtains feature Lightning McQueen and Jackson Storm in a cool red and white graphic style print in a repeat pattern on a light blue background. The curtains can be machine washed and tumble dried on a low setting.